Hello! It's been a little while since I blogged, and I've been missing this space. It seemed like my feet never touched the ground for the past couple of weeks, what with another mild illness through the house, lots of school and work commitments, and a general sense of exhaustion and irritation leading up to our first school break since Christmastime. The weeks just seemed to drag on and on; gosh, it was really starting to feel stressful. But we're officially on Spring Break as of today, and so far, I've spent most of the day doing virtually nothing, which has been fantastic. I did sort some pajamas and other clothes for the children, as I'm in the process of changing their drawers over to warm-weather clothes. I also emptied the dishwasher, and straightened up my desk and my yarn bins in the office closet. But that's it - today is my day off. I only have to drive somebody somewhere once today, and it isn't until late afternoon. The weather is beautiful today and the small Bears have been outside since they finished breakfast. I'm reading and crocheting, mostly. Sometimes, mild lassitude is the only right answer. Are you ready for Easter and/or Passover? I think I am. I've acquired the basket candy, and I have the other small trinkets ready. I know what I'll be cooking, but haven't bought any food yet; I'll do that toward the end of next week. We may have some guests for Easter dinner, unusual for us. I've invited my friend and her daughter, who is friends with the GB, to join us. I'm always happy to have extra people over for holiday meals. The coming week will see us mostly relaxing at home and getting the yard finished up for spring and summer. There are some sprinkler-system repairs to do, and plenty of pruning and raking. We've worked all winter on various things, but it's never done. I'm looking forward to spending time outside and taking walks and going to the park. I'm enjoying spring-ish cooking lately. I made a really good frittata recently, a variation on my standard recipe involving a little meat, a little cheese, and whatever veggies are on hand. This one had some leftover salmon we'd smoked ourselves, with some onion, chopped dill, and little dollops of cream cheese. It was delicious! I make a lot of frittatas, especially in warmer weather. We have been getting about two eggs a day from the hens for the last few weeks, so I'm always looking for ways to use eggs in our meals. When I make a frittata, I use a well-seasoned cast-iron skillet. I brush the bottom and sides with a little olive oil. I saute the vegetables, whatever they are, in about a tablespoon of butter in the skillet, add the (pre-cooked) meat, then I pour in six lightly beaten eggs, letting the eggs cook a little on the stove top, until the edges are set. Then I put the skillet in a 375 degree oven for about 20 minutes, until the center of the frittata is set and the top is lightly browned. I don't like to use the broiler for frittatas; my broiler is hard to control and the frittata will burn on top before it's cooked through. So I experimented with oven-baking and this is what works for me. I use all different combinations of ingredients. Frittatas are good hot or cold, and are especially nice with some boiled baby potatoes and a green salad. We also made granola recently. I was looking for a low-sugar, low-fat recipe and came across Nutty Granola by Ellie Krieger, which turned out so nicely. I have made a few of her recipes before and always liked them. I've mostly made things I've seen on her Create TV show, Ellie's Real Good Food; her Forbidden Rice Bowls have been a particular hit around here. I like her recipes because they're healthy without being boring, and she uses very basic, easy-to-find ingredients (on the Create show, you can tell a lot of them come from Trader Joe's, which is one of my two main places to buy groceries, so usually easy-peasy for me to get whatever she's using). The granola was so nice; there's just a small amount of maple syrup for sweetening and structure, so it's really nice on yogurt or as cereal with milk and fruit. And the recipe was so simple - the small Bears did most of it themselves. I've been feeling very self-conscious about my eyebrows lately. Surely, you've noticed the trend toward heavy eyebrows over the past few years. I haven't thought about my eyebrows much since I was about fifteen years old, when I started tweezing them in the style of the time. That style is way over now, though, so for the past year, I've been letting my eyebrows grow in. It's so hard to resist the temptation to pluck them after what, almost 25 years of it! It's been almost as hard as when I resolved to quit biting my nails. I don't think I'll ever have the luxuriant eyebrows of today's fashionable people, though; they were never naturally thick to begin with, and I'm sure all the years of plucking hasn't helped. I did buy an eyebrow brush, which makes a huge difference. I'm so not interested in using makeup on them. I'll just keep resisting the tweezers and using my brush. I never dreamed I would spend so much time thinking about my eyebrows, noticing other people's eyebrows, watching videos about eyebrows. I'm actually really sick of eyebrows. My hexagon crocheting continues. I've made - and joined - about half of the hexes I want for this blanket. I think I may put it on our bed when we start using our lighter-weight quilt soon. I'm sad to report that Maybelle has seen very little use, but I'm actually less disappointed about that than I thought I would be by the end of this winter. When I finished Maybelle in November, I expected to use it on the bed with our new comforter, which is very thick and warm (honestly a bit too warm on many nights during the mild winter we just had). Maybelle was more than we needed, warmth-wise, and also a bit difficult to use because it's so large. Maybe it would be better used as a family blanket; three of us can sit under it with room to spare. If the hex blanket turns out nicely, I might make that the bed blanket instead. Or I'll move them around as needed. Really, it's hard to go wrong. I still love Maybelle, and have a lot of good associations with it from the eight months I spend crocheting it, but it may not be right for its intended purpose after all. It's totally okay, though, because we'll always have a home for a big blanket. I probably should start thinking about lunch for me and the outdoorspeople, so I'll let you go. I hope you have a great weekend, and hopefully good weather to enjoy where you are. I know how tired of snow you must be in some parts of the country, and maybe elsewhere too. May the sun shine and springtime weather take over very soon. Lovely photos as always Jennifer. Your blanket is looking good, the beauty of your Maybelle blanket is that you had the pleasure of making it. 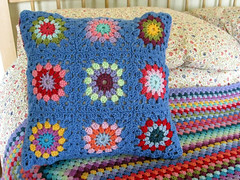 The crochet blanket that I made - (Attic 24 Moorland) is 'at home' in the lounge. It's a single blanket and selfishly I like to see it. Whau! Spring is already there and we are still full of snow here in ND. We will get a big storm tonight and tomorrow and it's sad since we are starting to melt a bit. The flowering trees are gorgeous! I love the way the hexagon blanket looks. I wonder what is your preferred method of join them. I have never joined squares or hexagons so I am intimidated by it. Wishing a wonderful weekend! It's looking so beautiful in your neck of the woods! I love the blooms and the mountains, and also the chickens and Girl Bear! 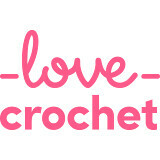 Your crocheting is lovely. I know what you mean about eyebrows! I have never really done anything to mine, although I seem to remember I went to a salon once to have them shaped. But a couple of weeks ago my manager suggested to me that I dye my eyebrows and I have been noticing what other people's look like ever since! That blossom is beautiful, spring is here at last, though I shouldn't speak too soon as we're forecast another icy blast again over Easter. I hope you're all feeling better now after your bout of illness, the break will be just what you need so enjoy it. Beautiful photos! Thanks for the Frittata recipe -- and reminder -- it's been a long time since I've made one. Do you ever put your potatoes in the frittata? And I looked up the rice bowls -- they look wonderful too -- thanks for the mention! As for eyebrows - I think the new bushy trend just looks dumb. Obviously, that's just me LOL. Have a good weekend! nice to hear from you! Hope you had a peaceful week! It's nice to have blankets around, I love that too! I know what you mean - I've been feeling super busy and kinda tired and just very ready for my daughter's spring break to begin. She has to finish up a big geography project this weekend that is due on Monday for the geography fair this Thursday, which is also the last day of school before spring break begins... Yay!!! I can hardly wait for a much needed break form the day to day routine/school/homework. Really looking forward to no schedule and some down time. We are staying in town for Easter this year and having brunch with my family. Also, planning a few day trips and maybe a playdate. Glad to hear you are enjoying some down time. It's so nice to have from time to time. That is the sweetest picture of your children together. I bet they are good friends, too. I also love to watch Create TV. I watch it most nights before I go to bed. I love all the cooking and travel shows. Anyway, I hope you have a great weekend! We are ready for spring to fully arrive here, it's still chilly and we are expecting a cold, rainy weekend. I hope Easter weekend will be more spring like! Spring certainly seems to be taking its time arriving this year and we are forecast yet more snow this weekend although you wouldn't think it looking at the sky and warm weather we are enjoying today. Hope you and yours enjoy the spring break. Oh lovely cherry blossoms. This is going to be our first year without our cherry blossom trees and I miss them. It’s always so fun to catch up with you Jennifer. I love the Cherryblossom photo and the girl bear with her chicken. Your life is so busy and full these days. I know I don’t have to remind you to cherish them all. Your Hexie blanket is looking beautiful. The blossom is stunning! I love that shade of pink so much, it always makes me think of spring. 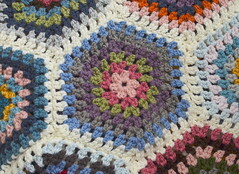 Your hexagon crochet also looks wonderful, although a long project!